Did you just try to type a formula in Excel only to find it appearing as a text string, instead of producing a result. 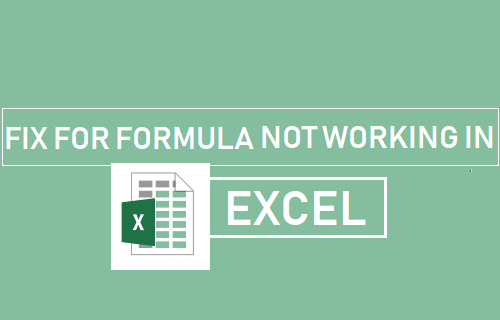 Let us take a look at how to fix the problem of Formula not working in Excel. As you can see in the image below, the Formulas typed in the cells are correct. However, the formulas are not producing any results and they are just being displayed as Text strings. This unexpected behaviour where users find the formula not working in Excel and being displayed in the form of text string is usually due to the following reasons. Show Formulas option is enabled in the worksheet. Excel is treating Formula as Text. So let us go ahead and take a look at how to fix both these issues. Show Formulas feature in Excel allows you to see all the formulas used in the worksheet, so that you can review and correct them as required. This feature works like a toggle, when it is switched ON it displays the actual formulas used in the cells and when switched OFF it displays the calculation results produced by the formulas. It is likely that you may have accidentally switched on the Formula Mode, resulting in Formulas being displayed in the worksheet. The most common reason for Show Formulas being accidentally enabled in Excel is due to users typing Control ` , which is actually a Keyboard Shortcut for Show Formula. To disable Show Formulas, click on the Formula tab in the top ribbon menu and then click on Show Formulas option in Formula Audition section. Now, you should be able to see a regular worksheet with no formulas being visible in the cells. It is possible that the calculation option for the worksheet has been set to manual mode. To fix this, click on the Formulas tab in the top ribbon menu > click on Calculation Options > and then click on Automatic in the drop-down menu. Once the worksheet is set to Automatic mode, you will see Formulas producing results as soon as you type them. If you find that only a single formula or formulas in a few cells are not working, the problem is not due to Show Formulas being enabled. In this case, it is likely that Excel is treating formula in this particular Cell or group of cells as Text. 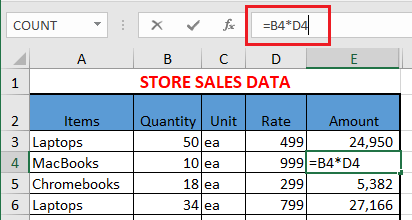 When Excel thinks that a Formula is Text, it simply displays whatever Formula that you type in the Cells and does not try to evaluate the Formula. There could be many reasons for Excel treating Formula as text. So let us go ahead and rule out many of these reasons. Make sure that the Formula is not enclosed in quote marks (” “). In case the Formula is enclosed in quote marks, Excel will treat the Formula as a Text string. This problem usually occurs when users copy Formulas from websites that make use of quote marks (” “) to draw attention to the formula. Click on the Cell containing the Formula and see if the Formula is enclosed in Quotes. Simply, remove the quote marks and you will see the Formula showing results. Note: You are allowed to use quotes inside the formulas, but not to enclose the Formula in quotes. When you manually type a Formula in Excel, the Formula should always begin with an Equal sign (=). If you forget to begin your formula without an Equal (=) sign, Excel won’t be able to sense that you are actually typing a Formula. Another common reason for Formula not working in Excel is due to the presence of a Space before the Equal (=) sign. As you can see in the image below, Formula starting with a space before the equal sign is being treated as text by Excel. To fix this issue, click in the Cell containing Formula > click in the Formula bar and remove the Space before the Equal sign. 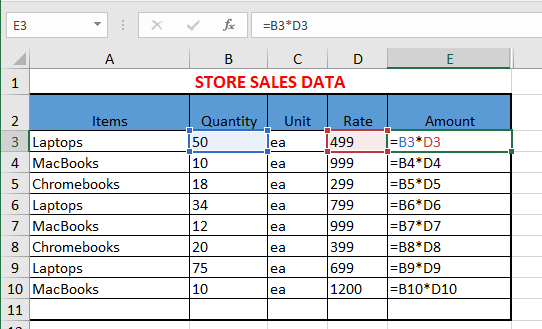 If everything about the Formula appears right and yet the Formula is not working, it is likely that the Cell containing the formula is in Text Format. 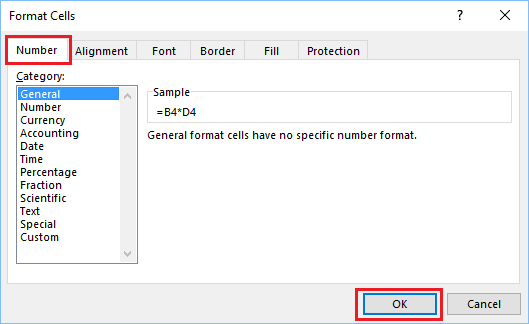 Right-click on the Cell containing the Formula and click on Format Cells… option in the drop-down menu. 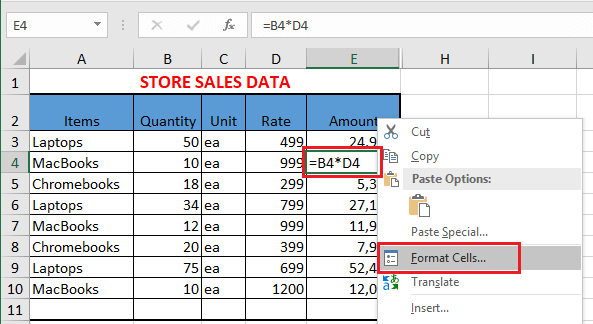 On the Format Cells screen, set the format to General or a particular Number Format in which you want to display the result produced by the formula and click OK.
After changing the Format, click into the Formula bar and hit the Enter key on the keyboard of your computer. You should now see the result of the Formula being displayed.